Hi there, I live in a quiet unit at the back of a house with a big secure back yard and would love to make your fur babies part of my family while youre away. I have two small dogs (10 year old Mali the Miniature Pinscher and 7 year old Chilly the Minpin x) and prefer small to meduim size dogs. They will be housed in my home and have access to secure out door area. Walked, fed, loved and kept safe. I have loads of indoor and outdoor doggy beds to choose from. The backyard is secure and spacious for lots of puppy games. My guests are treated as my own and will be welcome to sleep all over my home. I do ask you bring their food to prevent tummy upsets and a bed or blanket that has their own smell. Ive had lots of experience with dogs with special needs. My late dog Izzy was a badly treated rescue from a puppy farm. She was a gentle very timid girl so I understand those pups that need a bit of extra love and attention. 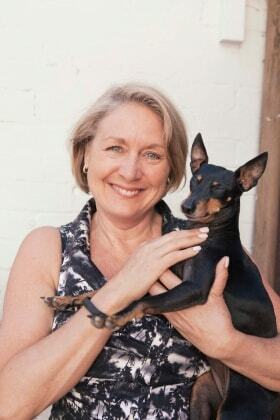 I have a certificate in Pet Addict, Dog Behaviour and Psychology and do some part time work with a doggy daycare on Sydney. If there are questions or concerns please feel free to ask for more information. I’m very happy for you to come and meet us and check out our home for suitability. I work full time but your dog will be walked and fed and have full access to indoor and outdoor through the doggy door. Leanne was absolutely wonderful, my fur baby Jarrod had an amazing time there. Her two dogs Mali and Chilli are such beautiful, friendly girls which was lovely for my Jarrod as he is an only pet and loves to make new friends.